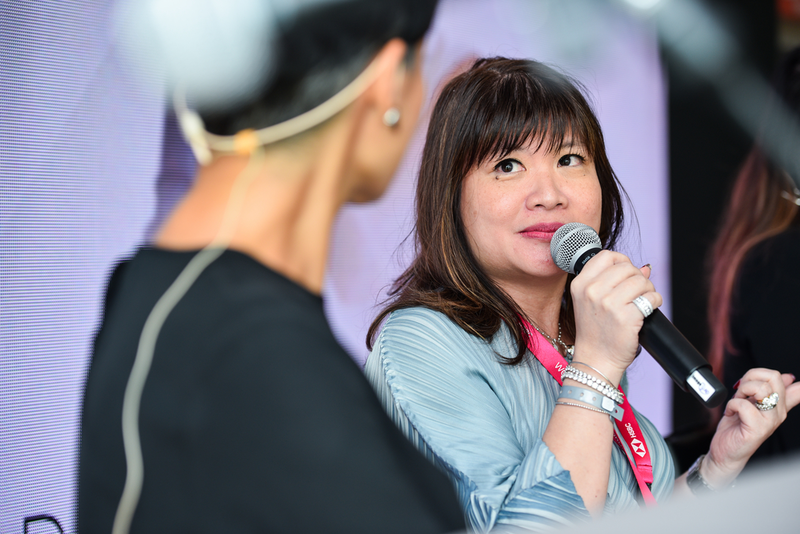 The Chief Executive Officer at Sintesa Group shares her experiences in patriarchal Indonesia, penchant for championing female entrepreneurship and thriving in the business world. 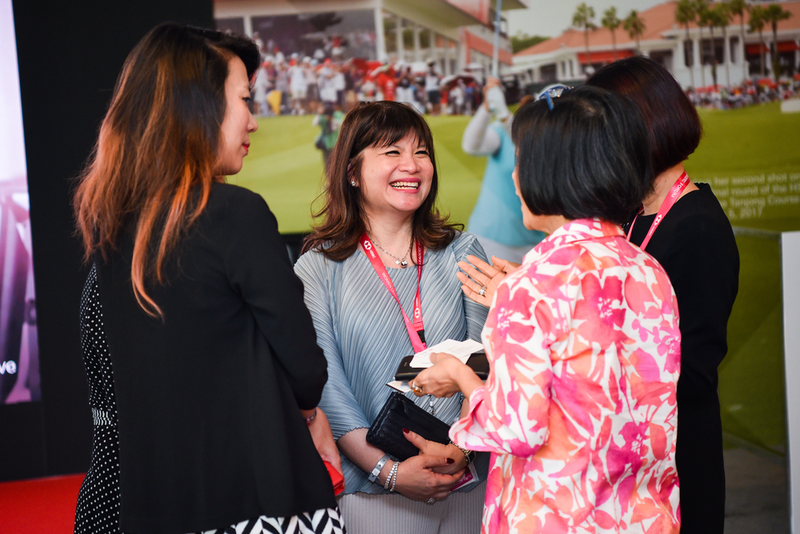 In a country where talent is universal but opportunities are not equal, Shinta Widjaja Kamdani, Chief Executive Officer at Sintesa Group, stands out prominently in Indonesia. Her long list of social and business accolades signals an overachiever. Besides managing and expanding 17 subsidiaries across diverse industries like property, energy, industrial and consumer products, Shinta is the current Vice Chairwoman of the Indonesian Chamber of Commerce and Industry (KADIN Indonesia) and Employers’ Association of Indonesia (APINDO). She is also Chairwoman of Indonesia Business Coalition on Women Empowerment, and award recipient for FORBES Asia’s 50 Powerful Businesswomen, Asia’s Leading Businesswoman of the Year Award from the Women in Leadership Forum, and Women Entrepreneur of the Year from the Asia Pacific Entrepreneurship Awards, just to name a few. In 2017, Shinta was decorated as the Commander of the Polar Star by King Carl XVI Gustaf of Sweden, and the Commander of the Order of Leopold of Belgium. Yet, Shinta is down to earth and personable. Beneath a petite stature lies a visionary with fortitude. Speaking at the HSBC Women Leaders’ Forum on 8 March, International Women’s Day, Shinta gives a concise account of her desire to take over her father’s business at 30, while sharing her hopes for female entrepreneurship in 2030. If one listened intently, she would appreciate that Shinta is nurturing. At times, she responds like a parent. Other times, she dishes out pragmatic advice like a mentor. An older sister who has been there, done that. A millennial can take heart that, bravery, combined with the desire to take a bit more risk everyday, can eventually lead to a colourful, fulfilling life. Like Shinta’s. Doyenne: What is it like to be a woman in Indonesia? Shinta: At work, women are dominated by men. We are required to take care of the household. A modern woman like me, with a career in a big Indonesian city, still has the responsibility to provide enough children. As a daughter, my parents expect me to bear enough grandchildren, to continue my husband’s family line. D: How did you rise up to the challenge of leading your family business? S: As you know, sons always have it easier than daughters. Unfortunately, I don’t have a brother. As the older of two daughters, I had to step up, or my father would hand the business over to a professional to manage. Before I turned 30, I always thought I should be a good daughter. But when I came back from overseas to work for my father, I saw that I had an entrepreneurial spirit in me. I could see that a lot of things needed to be done. Now, I can speak openly about this incident, but back then, it was a difficult moment for me. It was daunting to go up to the head of the company, who knew the business so well, to voice out what I really felt. To let my father know that, the business needs to be done differently. I wrote a business plan, and convinced him to try. In the end, it got us to where we are today. Parents need to see that you can do it all. It’s hard because they will never say, “I’m proud of you, you’ve done such a good job.” It is about the fight to prove that, I can be the son they never had. It doesn’t make any difference. I can work as hard, and deliver as much. The continuous effort to prove myself was important. Get used to doing without being appreciated. I think we need to remember that. D: Tell us more about female entrepreneurship in Indonesia. S: Indonesia is a vast country with diverse cultures. There are actually many female entrepreneurs in Indonesia, joined by many more who are starting up across the country. We have plenty of female entrepreneurs, from small, home-based businesses, to large corporations. Many of their businesses are seen as being led by the husbands, but in fact, it is the wives who are doing the work. D: What actions do you take to further advance female entrepreneurship? S: Mentoring, networking and investing. I am a big believer that mentoring develops entrepreneurs. A lot of female-led startups and entrepreneurs need guidance to build more successful businesses. Another big part of creating success is having a network. Female entrepreneurs need to constantly open themselves up to people and paradigms. I also invest. Being a female entrepreneur, it is important to support fellow female entrepreneurs. Many still lack financial access. They have problems getting investors, because they are very much dependent on their husbands. They don’t have assets under their name for collateralization, so they experience greater difficulty than men in getting a bank loan. This is a very big part that hinders female entrepreneurship. D: How can banks help female entrepreneurs thrive better in Indonesia? S: When it comes to Small and Medium Enterprises (SMEs), female entrepreneurs are not bankable because of their lack of collaterals. Perhaps banks can come up with some sort of SME credit system, which rates them in a more accessible way, so they can afford bank financing. Working in tandem, governments can play a role in providing cheaper financing options, by not differentiating SMEs according to gender. Obviously, female entrepreneurs are a far cry from fulfilling current financing requirements. Banks can also look into their CSR corporate values when it comes to helping female entrepreneurs alleviate cash flow challenges. D: As a non-Muslim, Chinese, female entrepreneur in Indonesia, how is it like to be a triple minority in the business world? S: First of all, Chinese Indonesians are always considered the business people in Indonesia. They are the ones who make money, the wealthier class in society. We are stereotyped for being the ones who make the most from the country’s resources. You need to prove that your intention is not just to make money in Indonesia. You also want to contribute back to the country. Being a female makes doing business even harder. As we’ve talked about before, you are expected to stay in the household. Furthermore, religion is currently being used as a political vehicle. As a non-Muslim, what you do is being scrutinised closely by the majority, which can thread on sensitive issues. All factors combined, it is a great challenge for us to break through. I have to prove myself triply hard. A lot of work goes into doing things for my country’s progress. We need more minority women to support each other and do actual work for Indonesia. D: In 2030, how will a female entrepreneur sustain her business? S: I hope that there will be much greater equality between men and women. We are now fighting for it, so hopefully, there’s even more to come. With less gender differentiation, women have the opportunity to exercise better work-life balance, as they get the same career opportunities as men. To sustain her business, a female entrepreneur will also look beyond profitability. Sustainability is about profit, people and planet. We need to think beyond monetary bottom lines. D: If your 20 year old self could see you now, what would she think? S: You know, I’d like to think I’m very blessed to have led a colourful life. With all the things that I do for my career, my family and myself, I’ve led an exciting life. My 20 year old self would not have even imagined that these happened. It’s lifelong learning. When we start something, we are afraid of failing. I could succeed because I dared to fail. I got up again and moved on. That is the most important thing. We cannot be afraid of failing. And we should never give up. If you want to be successful, you can’t start with day one. You have to be very persistent. Never be afraid to fail, just learn to be better. And remember that you are not alone, there is a network to tap on.